The Environmental Protection Agency wanted another six years to update its lead-based paint rules. On Wednesday, a federal appeals court was like: Nah. The court gave the agency just 90 days to propose a rule and just a year to finalize it. This court order, from the Ninth Circuit Court of Appeals, comes nearly 10 years after a community-led petition asked the EPA to update these standards. Groups including New Jersey Citizen Action and California Communities Against Toxics requested back in 2009 that the federal agency update the rules because they haven’t been changed at all since 2001. Since then, more research on the metal’s dangerous health impacts has come out. The current standards for lead in paint allow nearly 10 times more lead than what the Consumer Product Safety Commission recommends. The EPA’s Clean Air Scientific Advisory Committee also found these rules “insufficiently protective of children’s health” in 2007. Lead’s impacts on children are unnerving AF: The Centers for Disease Control and Prevention deem no blood lead levels safe for children. Blood lead levels lower than 10 micrograms per deciliter have been associated with delayed puberty and decreased cognitive performance among children. Even at levels lower than 5 micrograms per deciliter, researchers have observed lower IQ scores and an increase in behavioral problems, according to the National Institute of Environmental Health Sciences. Lead-based paint was banned in 1978, but the product still exists in homes—especially those built before then. In 2011, the Department of Housing and Urban Development estimated 37.1 million homes have lead-based paint somewhere in them. 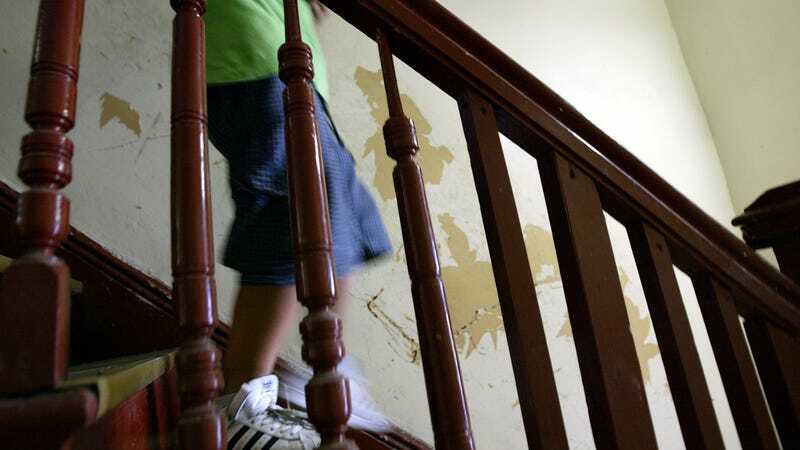 Low-income households were more likely to contain this toxic paint. The court order is seeking for the EPA to lower the acceptable lead standards so that less is legally permitted in children’s homes. That way, if a home is found to have lead paint that doesn’t meet the agency’s standards, something can be done. A renter can hold a property owner accountable, or the EPA can fine companies that don’t watch out for their employees. Either way, people’s health is better protected. The water crisis in Flint, MI, painted a grim reality many communities of color face. Lead doesn’t just hide in a city’s water supply, though. It hides in plain sight on people’s walls. The EPA declined to tell The New York Times whether it’d follow this order with an appeal or try to take it to the Supreme Court. The court, however, was willing to take literally a “drastic remedy” by granting a “writ of mandumus,” per the order, which is to be used only in “extraordinary situations” that require immediate action when there are no other options left and the government is failing to meet its duty. With 17 years of inaction, the latter is all too true.